“A lot of my research focuses on the objects found within late antique shops, however it can be easy to forget that these objects, used by people going about their day-to-day activities, would have been viewed in a rather different way to an modern day archaeologist like myself. Walking around the streets, agorai and porticoes of these now-empty cities, I found myself re-populating them in my imagination. While there were very few artefacts left in situ, it was still possible to identify the types of objects that might have been seen in shops from the architectural remains. 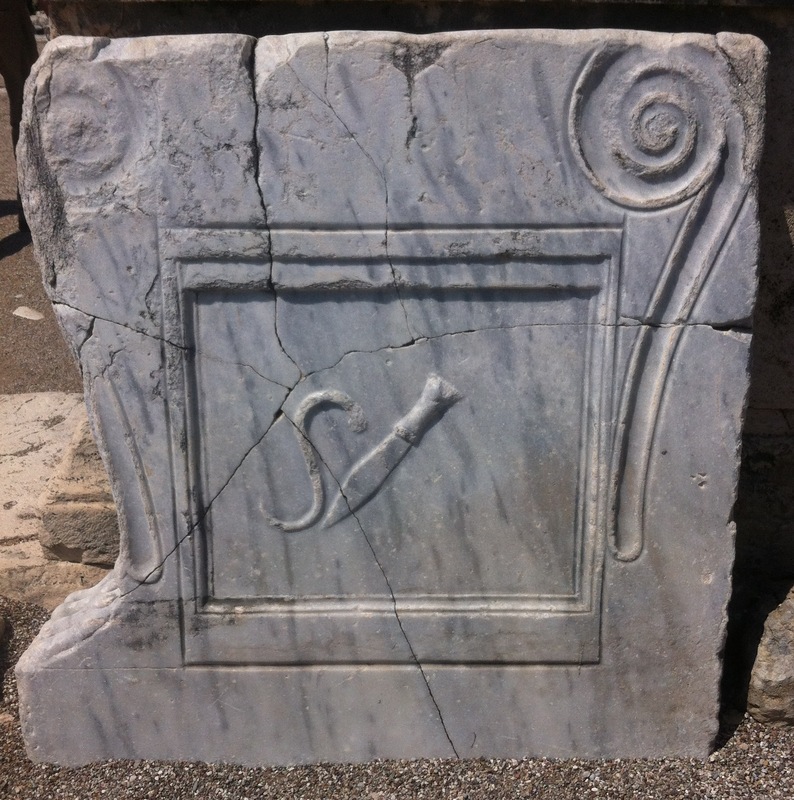 This large piece of marble in the macellum/agora at Perge is an end support for a counter of a butcher’s shop – something clear from the two objects shown in the central panel. The s-shaped meat-hook and knife carved into the marble are as emblematic of the butcher’s trade today as they would have been to the shop’s late antique customers. 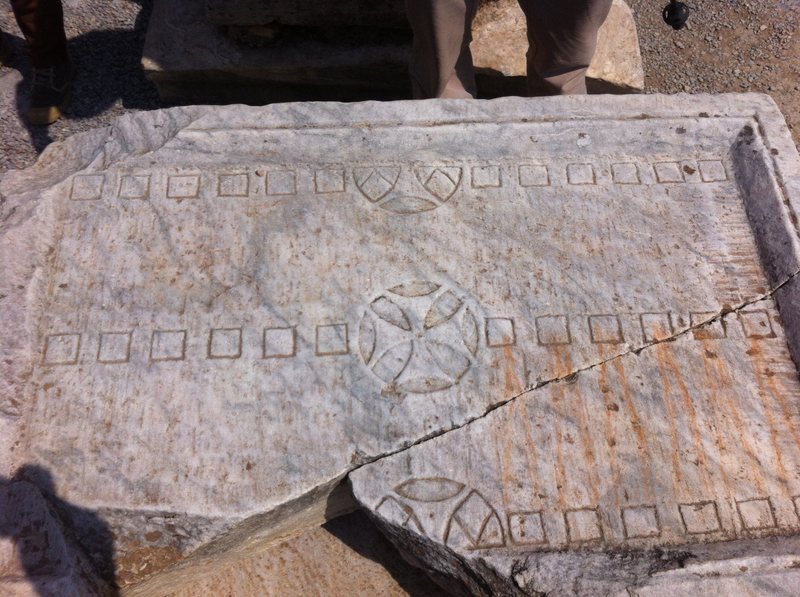 It is easy to imagine these tools being used in the shop at Perge. 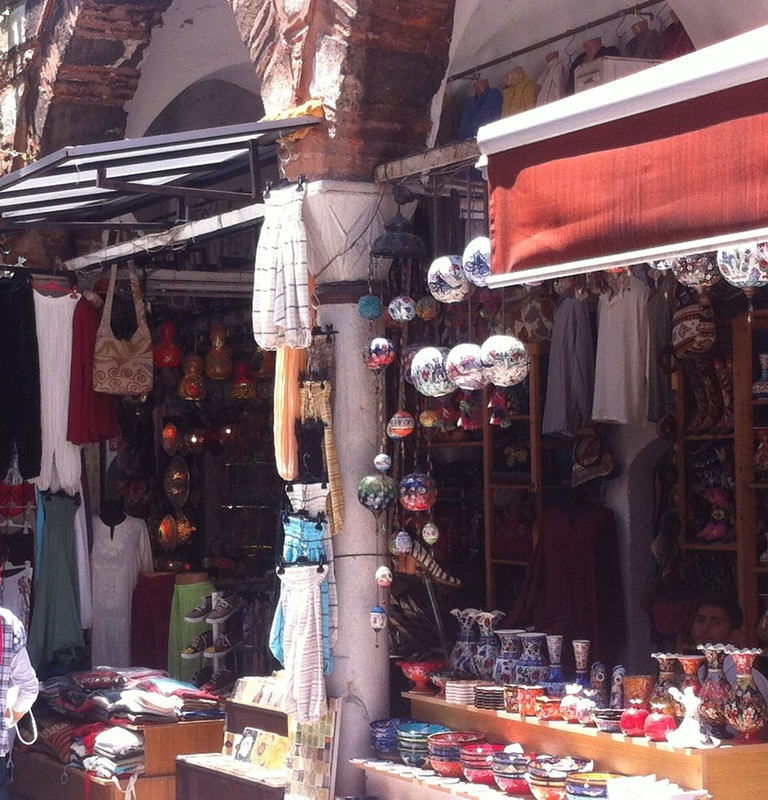 Shops tended to be located behind shady porticoes and colonnades…which we began to appreciate the value of as we stood around in the hot sun! This photo taken in Istanbul in 2012 gives a good impression of what this might have looked like – rather different from the stark white stones of these cities today! There were many other reminders of the lives of these shops and their porticoes as we walked around, in particular the carved gameboards that the members of our group delighted in hunting for. 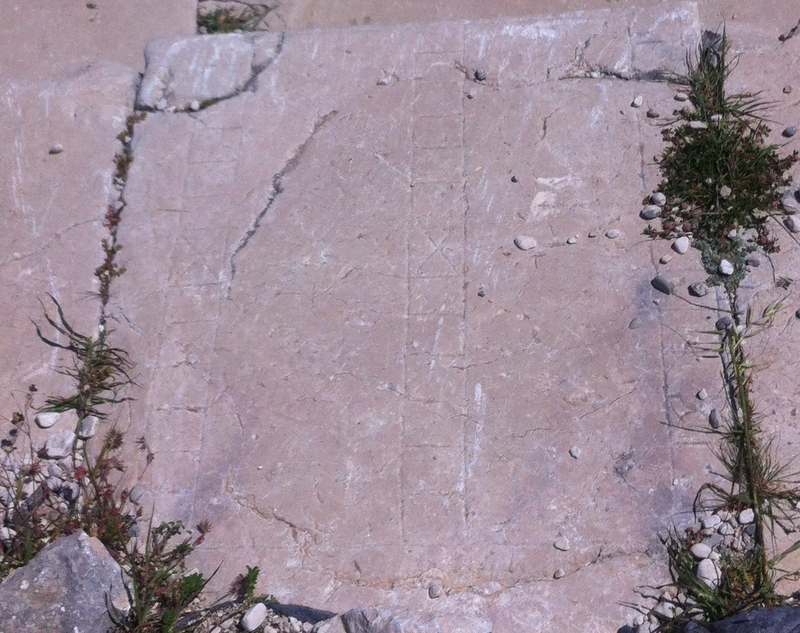 Some of these were simply carved onto the pavement (as below), while others were more ornate commissioned pieces. They are an excellent reminder that these ‘shopping’ districts were also places for socialising in Late Antiquity.